Former governor of Ogun state and a chieftain of the Labour Party, Otunba Gbenga Daniel has again thrown a bombshell at his successor, Ibikunle Amosun, accusing him of selling all the farmlands in the state to neighbouring states, according to report by PMNews. Daniel also faulted the present administration for neglecting the agricultural sector which, according to him is the main stream of development in some local government areas of the State. The summit was held at Odeda for the Obafemi/Owode, Odeda and Abeokuta North Federal Constituency. “When I came into power in 2003, the first place we visited was Odeda and we recognised that agriculture is the main stream of income here, we therefore established 13 farm settlements. Today, we are sorry that this present government has started selling our farmlands to neighbouring states. “He is busy constructing roads and bridges and Alabata road which we did when we came in 2003, when I was coming today, I tried to check on the road, the road was very bad. I want to ask you people of Odeda, what has Amosun done for you here, he has been constructing bridges all over and nothing was done here for you, he has neglected you. 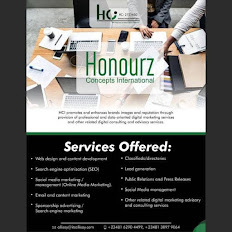 “The most interesting business after agriculture is quarry. During our time, we ensured that one indigenous citizen was there to monitor things, but now, it has been taken over by other people,” Daniel claimed. The former governor also accused the incumbent governor of unequal distribution of offices, accusing him of neglecting Odeda in very key offices. “During my time, we had a Commissioner from here, he is Apostle Sanyaolu and when we had the opportunity, a Speaker also came from here, that is Aderupoko’s son, Yemi Coker. What is important to every government is to provide jobs for the youths, during our eight years in office, we employed many people and we did not sack anyone. “What we are witnessing now from the government we mistakenly put into office, is that our people are discriminately sacked. If anybody in service is found to align with the opposition, he or she will be shown the exit and that is not our style of governance. They are saying that Labour Party will soon fade off, with what you are seeing today, do you think such could happen?. “They don’t know what is going on and I will reveal it today. If God is with you in whatever you are doing, everybody would want to associate with you. Truly, many political parties are calling us to merge with them and we are talking and when the time comes, we shall let you know, you just watch and don’t listen to anybody. I can assure you that we will all move to Oke Mosan, the seat of the government in Ogun together come 2015. 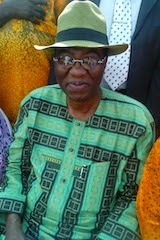 Let me say this, 2015 is non-negotiable for Labour Party in Ogun state,” Daniel boasted. 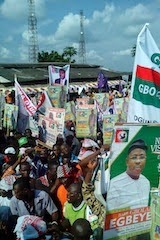 He however revealed that Labour Party will work for President Goodluck Jonathan during the 2015 Presidential election. Daniel maintained that Jonathan remains the best man for the job while advising other aspirants to throw in the towel. “The party has resolved to go for President Goodluck Jonathan as its candidate during the presidential election in 2015. Who is capable of competing with him, election is just few months to the corner, who has the wherewithal to compete with Jonathan. They are saying he can’t do it, from deputy governor to governor, from governor to vice president,from vice president to president. 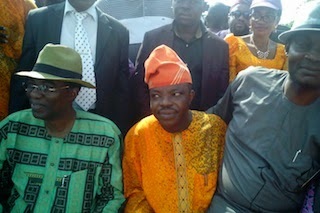 Among the dignitaries at the rally were Gboyega Nasir Isiaka, Sina Kawonise, Sarafa Tunji Ishola, Engr. Akeem Adesina, Mrs Lola Abiola Edewor, leaders and elders of the party, governorship aspirants and other aspirants to various offices.